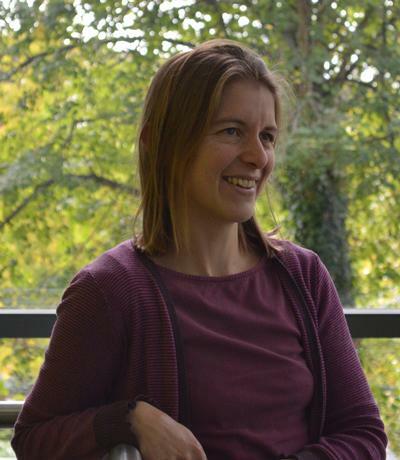 Dr Christine Currie is an Associate Professor and Director of CORMSIS within Mathematical Sciences at the University of Southampton. My research falls on the stochastic side of OR, with specific interests in revenue management, simulation input/output analysis and infectious disease modelling. Revenue management: My research has mostly concentrated on optimal pricing, based on consultancy work with two major UK airlines. I have a growing interest in consumer choice behaviour and how this can be modelled and am the principal investigator on an EPSRC funded project Dynamic Pricing in the Ferry Industry. Simulation: My focus is on the analysis of simulation input and output data. Recent work has considered the classification of objects’ input data for simplification of simulation models, initiated by work with Ford Motor Company. I have interests in Bayesian methods, mixture models, bootstrapping and simulation optimisation. Infectious disease modelling: Most of my work in this area has involved building and analysing models of tuberculosis and HIV. I have used both compartmental models and discrete event simulation models and considered cost-effectiveness and epidemiological effects. Currie, C. S. M. (2016). 10th birthday celebrations for the Journal of Simulation. Journal of Simulation, 10(1), 1-2. Currie, C. S. M., & Perisic, V. (2009). Minitab: the natural choice for non-specialist statisticians? MSOR Connections, 9(3), 14-16. Currie, C. S. M., Williams, B. G., Cheng, R. C. H., & Dye, C. (2003). Tuberculosis epidemics driven by HIV: is prevention better than cure? AIDS, 17(17), 2501-2508. Currie, C. S. M., & Collins, A. (2012). Operations research. In J. A. Sokolowski, & C. M. Banks (Eds. ), Handbook of Modeling and Simulation in Real World Applications (pp. 165-206). Chichester, GB: Wiley. Currie, C., & Monks, T. (2018). Modeling diseases: prevention, cure and management. In Proceedings of the Winter Simulation Conference (pp. 440-454). Piscataway: IEEE. Currie, C., & Monks, T. (2018). Practical considerations in selecting the best set of simulated systems. In M. Rabe, A. Juan, N. Mustafee, A. Skoogh, & B. Johansson (Eds. ), Proceedings of the Winter Simulation Conference (pp. 2191-2200). Piscataway: IEEE. Panadero, J., de Armas, J., Currie, C., & Juan, A. A. (2017). A simheuristic approach for the stochastic team orienteering problem. In W. K. V. Chan, A. D'Ambrogio, G. Zacharewicz, N. Mustafee, G. Wainer, & E. Page (Eds. ), Proceedings of the 2017 Winter Simulation Conference (pp. 3208-3217). USA: IEEE. Monks, T., Currie, C., Onggo, B. S., Kunc, M., Robinson, S., & Taylor, S. J. E. (2017). The simulation reproducibility crisis. Can reporting guidelines help? In D. Robertson, M. Fakhimi, A. Anagnostou, & R. Meskarian (Eds. ), Proceedings of the Operational Research Society Simulation Workshop 2018 (pp. 211-218). Operational Research Society. Monks, T., Currie, C., & Hoad, K. (2016). Arguments for and against the use of multiple comparison control in stochastic simulation studies. Paper presented at Simulation Workshop 2016, Stratford, United Kingdom. Currie, C. S. M., & Lu, L. (2011). Modeling server usage for online ticket sales. In Proceedings of the 2011 Winter Simulation Conference (pp. 752-760). United States, US: Institute of Electrical and Electronics Engineers. Currie, C. S. M., & Lu, L. (2009). Comparison of simulation output series using bootstrapping. In L. H. Lee, M. E. Kuhl, & S. Robinson (Eds. ), Proceedings of the 2009 INFORMS Simulation Society Research Workshop (pp. 35-38). USA: INFORMS Simulation Society. Mellor, G. R., Currie, C. S. M., Corbett, E. L., & Cheng, R. C. H. (2007). Targeted strategies for tuberculosis in areas of high HIV prevalence: a simulation study. In S. G. Henderson, B. Biller, M-H. Hsieh, J. Shortle, J. D. Tew, & R. R. Barton (Eds. ), Proceedings of the 2007 Winter Simulation Conference (pp. 1487-1493). Institute of Electrical and Electronics Engineers. Cheng, R. C. H., & Currie, C. S. M. (2004). Optimization by simulation metamodelling methods. 485-490. Paper presented at 2004 Winter Simulation Conference, . Cheng, R. C. H., & Currie, C. S. M. (2003). Prior and candidate models in the Bayesian analysis of finite mixtures. 392-398. 2003 Winter Simulation Conference, . Anjos, M. F., Cheng, R. C. H., & Currie, C. S. M. (2003). Revenue management for perishable products using simulation. 114-120. Paper presented at Sixth National Conference of the UK Simulation Society, .